If you are looking into security for self-storage and distribution you will be only too aware of the levels of security that will need to be in place in order for your customers to trust that their goods are safe and secure. The importance of a flexible security system, with 24 hour access control, now means that planning your systems has never been so business critical. At Mercury Systems we will provide you with clear identification of risks your self-storage premises may face, as well as individually designed solutions to help you mitigate such risk and assist you in other practical solutions to simplify your business. Our systems will enable you to meet all of your health and safety obligations, as well in assist in the resolution of claims by customers and staff alike. 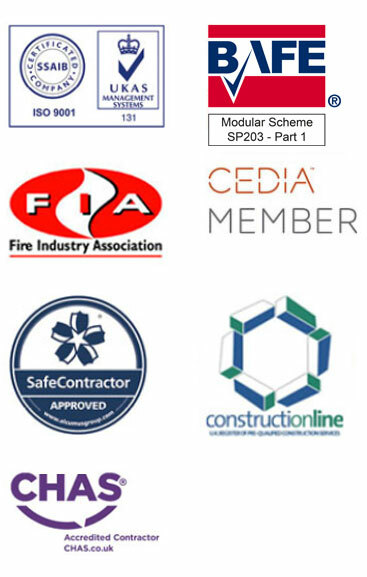 Your security or fire safety project will be managed ‘in house’ by our highly experienced and professional team, who will have expert knowledge of your requirements. Your project will be managed to ensure that it is delivered on schedule, within budget and to our consistently high standard. Whether you require a new fully integrated security system, or upgrades or maintenance for an existing system, we have extensive experience working within your industry, whilst being ever aware of the needs of your business to remain in operation at all times. You will need to be sure that not only is your system expertly installed, but that you are fully competent in its operation. All new projects require you or the operator to be fully trained in the use of any new system. With this in mind, we offer product demonstrations at the end of every installation. Only when we are satisfied that users are competent in the use of their systems do we sign them off. I've worked with Mercury Systems on a number of projects in recent years and can say, with complete confidence, that they deliver a product and service which sets the standard.